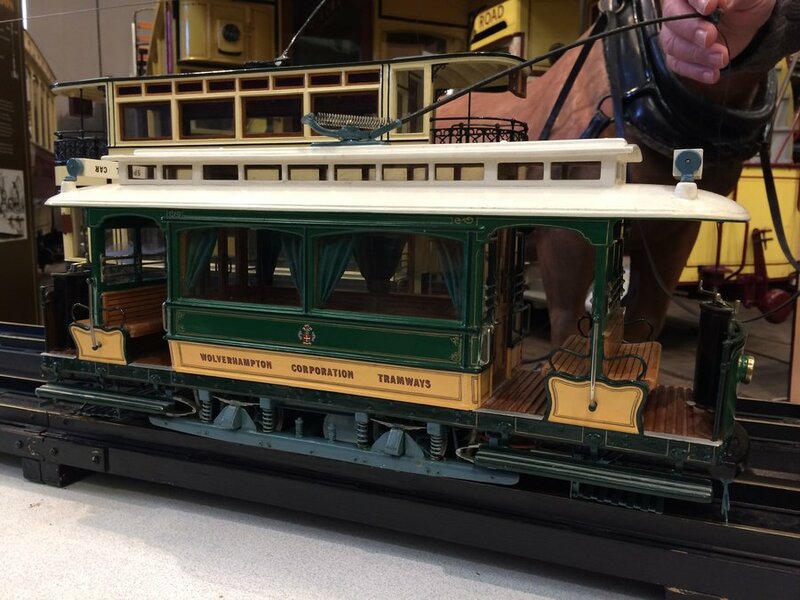 Sunday 23rd April, saw not only three of our own wonderful tramcars in service carrying passengers up and down our track, but also four of the Robert Whetstone models took to their own track in the Great Exhibition Hall. 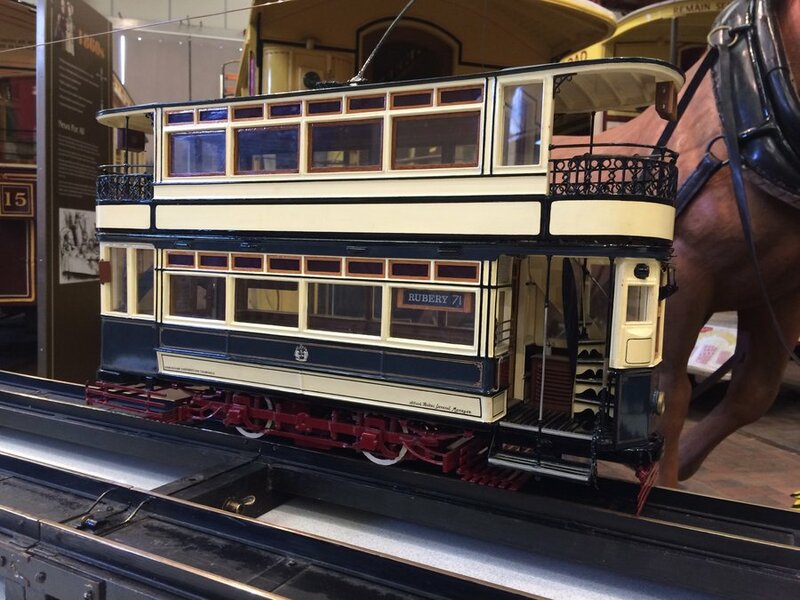 This year we are operating the models on a limited number of days in order to provide visitors an opportunity to see these superbly built models running up and down their own track, instead of just on display in the cabinets in the Exhibition Hall. Huge thanks are due to volunteers, Derek, John, Martin and Mike who have worked over the winter to get the track and overhead cleaned and tested for the models to run on it. 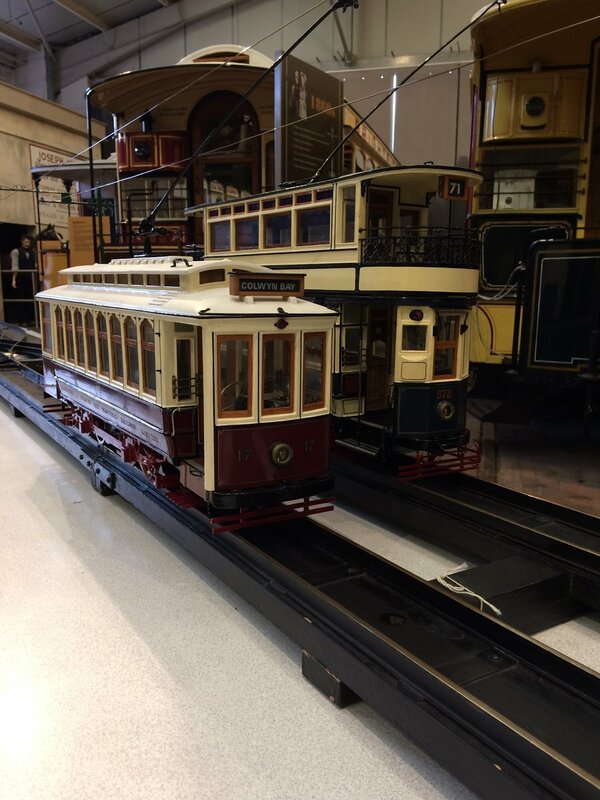 Their efforts and also being here on the day to set up and run the models has been invaluable as they were able to iron out some of the operating kinks and spend time talking to all our visitors about the trams and how they work. 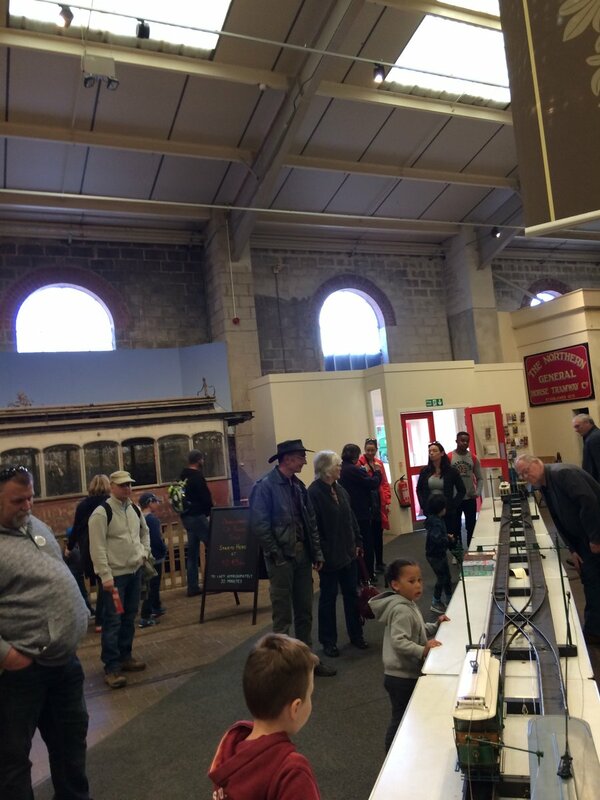 During the day we had a steady stream of visitors to see the models, and definitely quite a few children who had to be persuaded to leave the small models and actually go ride on the full size ones outside. If you weren’t able to see the models this weekend, don’t worry there are several more opportunities to see them running again. Out next day will be Sunday 21st May, so we hope to see lots of you popping in the Exhibition Hall, and remember feel free to ask our volunteers and staff questions about the models and Robert who made them, they will be more than happy to chat with you.